Time Domain Solver is an add‑on tool for WIPL‑D Pro 3D EM Solver. It features a user‑friendly interface and it is intended for transient analysis of 3D structures. The time‑domain response is calculated based on frequency domain simulation in WIPL‑D Pro and Fourier transform. 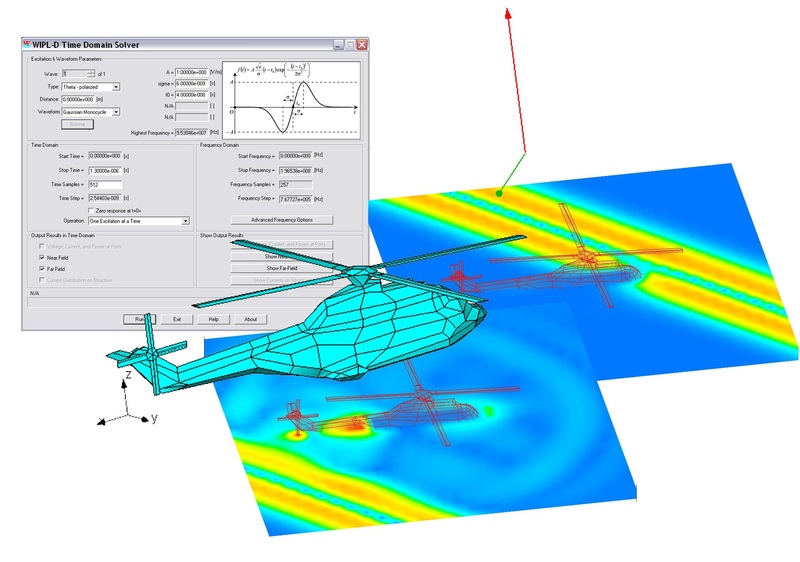 The tool is seamlessly integrated into WIPL‑D Pro so the frequency domain simulation and conversion to time‑domain results is performed automatically. Integration with MW Pro brings the possibility to explore the time-domain response of microwave circuits, while the integration with WIPL‑D Optimizer allows advanced multi‑algorithm optimization of time‑domain response. Time‑domain excitations are specified from a variety of predefined waveforms such as: Gaussian pulse, Gaussian monocycle, rectangular and exponential pulses, and sinusoidal wave. In addition, Time Domain Solver can read in any user‑specified excitation waveform and calculate the required transient response. For more info, please check the following brochure.